We have milk, white, and dark chocolate. And now, according to Valrhona, we have a new category of chocolate: blond. The genesis of Valrhona’s latest creation, Dulcey, began about eight years ago when Valrhona’s chef, Frederic Bau, accidentally left some white couveture chocolate in a bain marie overnight. Ten hours later, he discovered his error, but before throwing the caramelized, browned chocolate out, decided to give it a try. What he tasted was a chocolate with hints of caramel and shortbread unlike anything he’s tasted before. He knew he was on to something. It took Valrhona eight long years of recipe development to be able to produce this chocolate on a large enough scale to offer it worldwide to confectioners as well as the public. But now the time has come. And Valrhona, together with Caputo’s, is hosting a fantastic event to introduce this chocolate to Utah. Representatives will be at Caputo’s the evening of April 8th, and they are putting on a friendly competition to showcase the Dulcey chocolate. Three of Salt Lake’s top pastry chefs, Amber Billingsley (Vinto), Alexa Norlin (The Rose Est. ), and Courtney McDowell (Pago, Finca) will go up against each other to see who can make the most over-the-top decadent dessert. Viet Pham (Forage), Ryan Lowder (The Copper Onion, Plum Alley), and Takashi Gibo (Takashi) will be the judges. 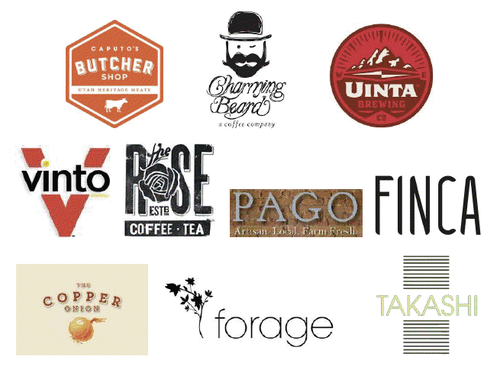 Caputo’s Butcher shop will be dishing out free bites of charcuterie, new kids on the block Charming Beard Coffee will be satiating your caffeine needs, and Uinta Brewing will be sampling their Spring and Summer session style beers, along with a chocolate pairing. And to top it all off, Valrhona USA corporate pastry chef Alex Espiritu from will be on hand to sample the newest chocolate. The event is Monday, April 8th at 7pm at Caputo’s Downtown. Admission is $20 and an additional $10 for the beverage pairing. Tickets must be purchased in advance by calling (801) 531-8669 or going to http://www.caputosdeli.com/products/special-event-battle-blond.html I wouldn’t wait too long–these Caputo’s events typically sell out quickly.